I was confused by the beginning of Mark Bechtle’s chapter, Intentional Sharing, in Evangelism for the Rest of Us. It is a story of unintentional sharing. It was the story of a plane ride during which the passenger next to him kept asking questions. He does make a good point, be prepared and responsive to opportunities that God provides. That isn’t intentional sharing, or at least not what I think about when I hear the term. He affirms much of what he’s been saying throughout the book. He adds that “we need to be intentional about our efforts” but doesn’t really help us think that through. For him, a large part of intentionality is about the need to be prepared. This is pretty much what I covered in my previous post. He does mention a job he had in which everyone was asked to develop an “elevator speech.” A concise, thoughtout speech you could give to let people know “What you do?”. He applies this to “What is Christianity?” We should prepare ahead of time by having just such a brief articulation about the heart of Christianity. Or come up with a tweet that captures the essence of Christianity. Applying triperspectivalism to this we can have three types of prepared messages to draw upon. Normative: what does the Scripture say? Develop a few as mentioned previously: the Roman Road, The Great Story (a history of God’s dealing w/humanity: creation, fall, redemption, glory), or other. Existential: how did God work in my life? This is your testimony, however unexciting. You may have grown up in the church, but at some point you owned it even if it was not dramatic. This connects the gospel with your life. Situational: how has God sustained me? This connects the gospel message (normative) and your life (existential) with circumstances in the life of the person you are talking with. It can be as simple as “the political chaos drags me down at times, but then I remember ….”. Or it can be a story of finding hope in the midst of loss, affliction etc. Be honest about your struggle with sin and/or misery. What you are looking for here are entry points for the gospel. Bechtle wants us to make friends intentionally. Apart from making friends with non-Christians you’ll be limited to talking with people on the plane or clerks at stores. It bears repeating: genuine friendships, not repent or I won’t be your friend pseudo-relationships. We had friends in FL with whom we’d share the gospel when opportunities arose. The change in our friendship came because we moved, not because they didn’t repent and believe like we’d hoped. Choose to be around non-Christians. They aren’t lepers! And you shouldn’t be a Pharisee (see Luke 15 and the parables of the lost things). Remember it is a team effort. If they are in your life they may meet others who are in your life who will also communicate the gospel to them. Build trust. You aren’t a salesman, so consistently love them before offering the gospel in a way which comes off as weird and unnatural. Don’t try too hard. “This pretzel reminds me of the Trinity….”. Be patient. It may take years of faithful witness. It will also take time for you to develop skills in evangelism. I tell my kids, every good thing takes practice. You don’t master anything in 3 hours. It takes thousands of hours. Find your own voice. I tell this to young preachers too. You aren’t x, y or z. You are you. God made you to speak truth, and who you are will shape it to some degree. I believe it was Stott who called preaching “truth through personality.” Your personality & experiences will also shape your evangelism. But if you’re using Chick Tracts, repent. Be involved in community life, not just church community life. Point people to Jesus. 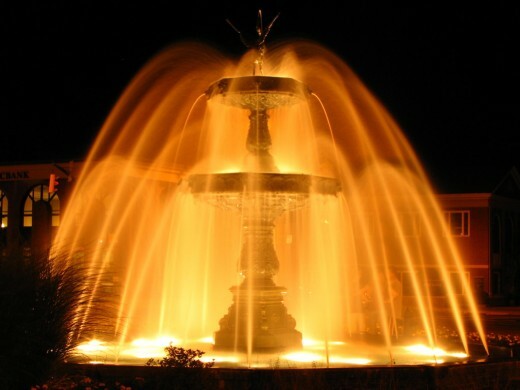 We are like floodlights, helping people see the One who matters. He is the hero of the story, not you. One thing I’d like to add. Ask permission. Don’t just launch into your gospel presentation at any opportunity. Try something like “I’ve struggled with that too. My faith in Christ helped me through that struggle. Can I tell you about that?” You are respecting their boundaries, loving them. They will be more likely, from a human perspective, to listen than if you force the message on them. The next subject McHugh covers in Introverts in the Church is that of community and relationships. He notes that this is the chapter he didn’t want to write. Contrary to some people’s opinions, introverts have relationships. They participate in community. They often feel the burdens of community, pressure to engage early and often. The goal is love because God is love. The commandments hang on the frame of love: love to God and love to one another. Love requires relationships. Many of the fruit of the Spirit require relationships because they are aspects of love. For humans like us, this means relational struggles so we can learn how to forgive, be patient, long-suffering, perseverance etc. Different cultures have different understandings of the individual and the community. In modern western culture we focus on the individual: self-identity, self-actualization, self-fulfillment. In Ancient Near East cultures, the community took precedence. The individual didn’t cease to exist, but understood himself within the context of community and the roles & responsibilities they had as a result. We misunderstand the Bible if we try to interpret it from our American individualistic point of view. Why? We misunderstand the author’s intention and original meaning since they weren’t writing to “me” so much as “us” (contemporary English obscures this by not differentiating between the 2nd person singular & plural). This means that much of Evangelical Theology and practice has been shaped by individualism. We neglect the communal emphasis of the Bible. This is one of the presuppositions that drives many people’s understanding of baptism. The New Covenant didn’t do away with “you and your children” (see Acts 2 for instance) or a focus on the people of God. We see it with Good Shepherd having a flock, the church as the Body of Christ, and a living temple. The Bible isn’t just about you & Jesus but about you, Jesus and everyone else united to Jesus (commonly called the communion of saints in older creeds and confessions). This means there will necessarily be a culture clash between western society and the church (if we are faithful to Scripture). We will be counter-culture to modernist individualism and post-modern communalism. We see unity and diversity in the Body of Christ! In terms of introverts, they often belong to churches that view belonging in external ways: attendance at corporate worship, small group etc. Those can be manifestations of belonging and maturity. But they aren’t absolute manifestations. You can attend lots of things but really not belong or really not be mature. Your reason for attending can be erroneous- social or business- rather than an expression of your union with Christ. The converse can be true too. You can belong and/or be mature in Christ even if you aren’t there every time the doors are open. As a pastor, I confess I want measurable things to know if I’m doing my job. It can be difficult to trust God is at work in ways you cannot see. Another way churches can measure belonging is “vulnerability”. Usually that is in a particular setting, like small group. In an earlier post I noted that for introverts there is a smaller circle of people with whom they are vulnerable. We can’t expect people (introvert or extrovert) to be vulnerable in the settings we want them to be vulnerable. I think I’m pretty vulnerable. A friend calls me “King of the Over-share” and teases me that I wear this moniker with pride. But there are things about me I don’t share with just anyone. It’s my story to tell, and I don’t tell many people. Need to know basis stuff. I should get all this. But sometimes I struggle with the vulnerability or lack thereof in our small group. I need to remind myself they won’t share their secret sins unless this group is their closest group of friends. You can’t demand it. But some churches essentially do. Introverts share like I get into a swimming pool. One step at a time, slowly. 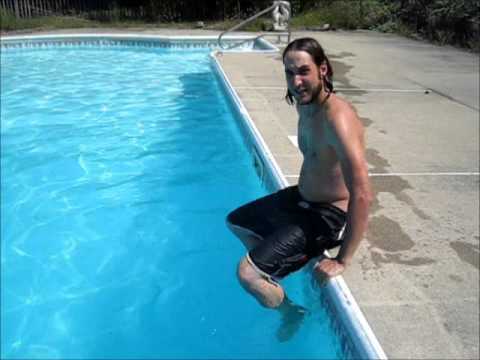 I don’t like cold water. Introverts often gauge how you handle information to see if you are safe. If you are, they will trust you with a little more. Little by little they reveal themselves to you. If they sense danger, they will pull back. McHugh notes the “introvert spiral”. I’ve seen this in some people, but certainly not all introverts. They spiral in and out of the community depending on whether or not they are overloaded. This dynamic is about trust and their personal limits. They move in and pull back, rather than slowly moving in. To others it may look like they are double-minded. This can also be described as a rhythm in which they engage and then retreat. Like a dance. For the more pronounced introverts “too much time in social interaction, no matter how satisfying, is disruptive and disorienting”. They need to get some space to “rediscover a sense of identity.” Every relationship includes togetherness and apartness. Each person has a different blend that works. Introverts need more apartness. Sometimes they can lose their sense of self in community and need time to regain it so they can reengage. Like extroverts, introverts have gifts to offer. God has gifted them. How they utilize or offer those gifts will look different. They are likely to be used behind the scenes, and they won’t necessarily tell others when making small talk. Ironically, some of those gifts are born out of their self-awareness: compassion and insight, for instance. Instead of acting, they may be observing and have a better idea of what is going on. Introverts, who like space, are more likely to give space to others. This shows up in conflict, where they don’t press in hard but give others room to think (whether they want it or not, or know how to use it). I wonder if this fits in with my distaste for micromanagement as both employee and supervisor. If I need direction I’ll ask, and expect employees to do the same. I want space to work, and give space to others to work. Space is also given to people to talk. Since they take time to formulate thoughts, they don’t fill every opening because the other person may be formulating a thought. This means that an introvert among extroverts can feel left out since they may not leave room for him/her to think and speak. He offers a few ways in which introverts can find their way into community easier. I’ve discovered some of them on my own. But one is to identify the influential people. This is not to gain influence for yourself, but this person will connect you to others. They network for you. It is also helpful to identify a role you can play. You have a sense of responsibility within the community which also enable interaction with others. In those larger communities, it is helpful to join a group. This regular interaction with a smaller pool of people helps build relationships. This can be a SS class, small group, ministry team etc. When working with others, talk through your process and not just your conclusions. This may feel pointless or boring (and at times it may be) but it helps others see how you arrived there and may increase buy in. He then notes some relational challenges. Introverts are prone toward enmeshment- when your identity gets intertwined with another person. We can become overly dependent on them, or surrender our interests to theirs. Introverts can also fall prey, so to speak, to relational parasites who take and don’t give. All of the relational energy flows in one direction. Many introverts struggle to think on their feet (not so good in interviews!) which makes conflict difficult when it involves quick-thinking extroverts. Introverts are better at replaying the conflict and realizing what they should have done than actually doing it. Most introverts need to remember that extroverts prone to speak first and think later. They regret more of what they say (introverts regret more of what they failed to say). Give them room to back up, and forgiveness when they realize what they said was hurtful. Introverts were made for community. This is because they are made in the image of God too. How they experience and engage in community will be different. This provides challenges for both introverts and extroverts. Love doesn’t avoid these challenges but presses on despite them. Both introverts and extroverts needs to flex. It is not just one or the other. Whenever we think only one side must flex, conflict will destroy both parties. Many years ago, C.S. Lewis was not the only prominent Christian to do a series of radio addresses. J. Gresham Machen gave a series of addresses on the person of Jesus in 1935. These are collected in The Person of Jesus: Radio Addresses on the Deity of the Savior. When he gave these, he had already resigned from Princeton Seminary to form Westminster Theological Seminary in 1929. Having set up an independent missions board, Machen was battling in the church courts. In 1936 he would be suspended and found the Orthodox Presbyterian Church. He would fall ill and pass away on January 1, 1937. As a result, these are among the last public words from Machen whose most important works had already been written. In the course of the addresses, Machen lays out the objections of liberal theology and secularism to the deity of Christ, and positively puts forth the case for Jesus as the second person of the Trinity. Machen was at the forefront of the struggle against liberalism as evidenced by his books Christianity and Liberalism, and The Virgin Birth of Christ. He lays out all of this in a very simple, understandable manner. In other words, he doesn’t come across as an academic, but one addressing the common man that they may believe. This was his goal, that people would believe that Jesus was God the Son and Savior. While interacting with liberal views, you’d think such a man might sound bitter, but he doesn’t. He succinctly addresses their presuppositions, and brings us back to Scripture to show that the Jesus of liberalism is a fiction. There are seven addresses presented here. The first is on the Triune God, explaining briefly the biblical doctrine of the Trinity. He covers a lot of ground in a short time, including God’s communicable and incommunicable attributes. He does recognize mystery in that finite man can’t comprehend the infinite God, but that we can understand what God reveals to us. For him, the OT assumes the Trinity while it is taught in the NT. He gives a few of the places we look to in order to understand where we find this doctrine. He then moves to the deity of Christ. The problem he addresses is the differing understanding of this phrase. People have different definitions so you may think you are in agreement when in reality you aren’t. His personal and denominational history does arise here as men with a liberal understanding of this phrase entered the ministry and subverted congregations and denominations. We must have a biblical understanding of God to understand what it means that Jesus is God. He continues with whether or not the Bible teaches the deity of Jesus. In discussing the meaning of Messiah, he brings the audience to Daniel 7 to show that the Son of Man is a representative of the people but not also a supernatural figure. He connects Malachi’s coming of the Lord with the angel’s words to Zachariah about John the Baptizer. He precedes Jesus who is Jehovah coming to His people. Machen then turns to the Sermon on the Mount to address another way people try to avoid the divinity of Christ to focus on a great teacher. He shows how the sermon both assumes the deity of Jesus, and reveals this authority. Jesus has authority as law giver and judge of humanity. He isn’t just a rabbi. He pronounces blessings on those who obey Him and curses on those who don’t. In What Jesus Says About Himself, Machen brings us back to Daniel 7 to understand the Son of Man sayings of Jesus. This covers some similar ground as the previous chapter. It focuses on the more explicit sayings. The last two chapters focus on miracles. The first focuses on miracles in general and the second on the resurrection. Miracles are often a stumbling block for people. If we removed them, like Thomas Jefferson did, “It would be far easier to believe, but then, you see, it would not be worth believing.” We don’t need another teacher; we need a Savior. Machen then spends some time on the subject of David Friedrich Strauss’ book Life of Jesus as an attempt to find the “real” Jesus. Strauss argued against finding rational explanations for accounts of miracles, as liberals had been doing. He asserted they were myths, pure and simple. Now skepticism about the whole Bible emerges. How can you find the real Jesus? How can you find the source to sort this out? We can’t escape a supernatural Jesus. If we follow Bultmann we get to a Jesus we can’t believe in, a phantom of sorts. The greatest miracle is the resurrection of Jesus. Without this none of the others really matter. While the resurrection is often debated, what is not debated is the effect on the disciples. They changed from people hiding for their lives. to people who spread Christ’s message around the world often as the expense of their lives. It spread peacefully, not at the edge of the sword like some other religions. What changed these men and woman? The only coherent answer is what the New Testament claims, that Jesus rose from the dead. He also mentions some of the ways the reality of the resurrection is denied, like the “vision theory”: they all had a similar vision of Jesus. Machen notes that this “means that the Christian church is founded upon a pathological experience of certain persons in the first century of our era”. He also brings up the “spiritual resurrection” theory. But Christianity is based on an event, recorded in Scripture with eyewitnesses who could be questioned at the time of its writing. These addresses by Machen are a handy apologetic tool for people wondering who Jesus really is. It is not technical, but for the average person. It does not presuppose much knowledge of the Bible. It is brief, not overly complex, and to the point. A recent meeting of our missions team discussed the generally introverted nature of our church, something I’ve mentioned to our congregation before. We have some extroverts, and would like more extroverts. We want to be a faithful church. How that looks for us may not be the same as how it looks for an extroverted congregation. 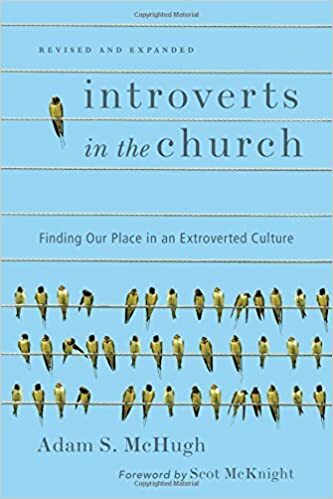 One of the books I found to help me think through all of this is Introverts in the Church: Finding Our Place in an Extroverted Church by Adam McHugh. I will be blogging through this book. Perhaps much of this will be helpful for the slim majority of people who are introverted. Our context is a Reformed and (dare I say) evangelical church. 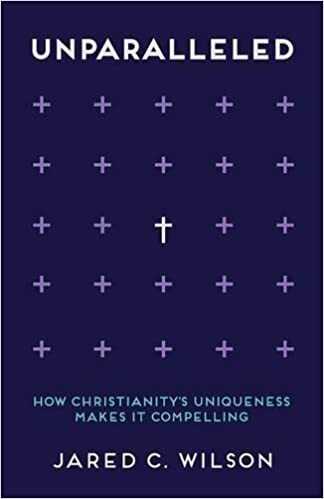 Evangelical churches, in particular, appear to be largely extroverted in how they understand the faith and how they expect it to be lived out. One problem is our view of Jesus. Studies indicate that most people consider Jesus to be extroverted. This is probably due to the number of large groups before whom He spoke. This is to overstate the case. We do see that Jesus would retire to quiet places to pray. He also invested Himself primarily in the Twelve and others in the group that traveled with Him (which included a number of women too). My thinking, for quite some time, was that neither introverts nor extroverts could claim Him. Jesus is the perfectly balanced person since He was a perfect man. He was equally comfortable with the masses and small groups with deep, meaningful friendships as well as alone with the Father. 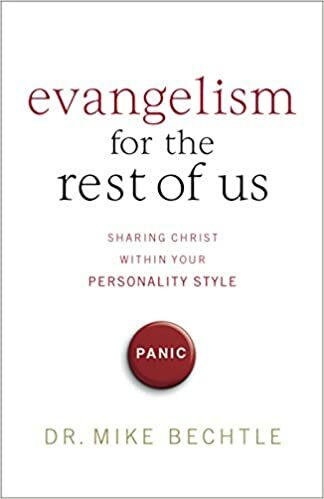 McHugh notes the three evangelical anchors that contribute to the extroverted priority of evangelical churches: a personal relationship with God, priority on the Word of God as our authority, and the Great Commission. McHugh does issue a disclaimer of painting in broad strokes (which is an unavoidable element of the process). Not all evangelical churches are extroverted, or act in these ways. But many do such that many introverts feel devalued, out of place and shamed for not being extroverted. This should not be the case, but sadly it often is. In America, one of the great influences on evangelicalism is the Great Awakenings. These put a priority on public displays of this personal relationship with God. The biblical call to community is often seen through a lens in which everyone in the congregation is your friend (an impossibility). Extroverts are very comfortable with a large number of friends, and a number of activities. Introverts prefer a smaller number of closer friends, and can find the busy church very draining. Introverts can often be shamed for not being fully invested or involved. They can be shamed for appearing (key word) to be self-involved. I remember one of my extroverted friends years ago calling the rest of our group to get out the Windex and be open with one another. Their personal relationship with God is more personal, meaning more private. They don’t necessarily share the dynamics of this (often deep) relationship with many people. They will share it, but more likely with their closest friends. Even as an introvert myself, I can forget this because my calling includes sharing some of my relationship with God publicly. For instance, I am closest to those with whom I work most closely (the officers) and my community group. I need to stretch myself in doing this. Sometimes introverts can be called to stretch themselves. But extroverts can expect them to become extroverts as though that is what godliness really looks like. God communicates with us through the Word. The gospel is communicated, primarily through words. Evangelicalism places a priority on words. Extroverts have more words to share than introverts. Introverts are often more thoughtful about their words. Their hesitancy can be misunderstood as an unwillingness to talk. Their reluctance to make small talk should not be confused with an unwillingness to relate. Surely introverts can be stretched and move out of their comfort zone. But the constant drumbeat can often discourage them as if they don’t measure up. How they do evangelism will look differently. For them it will not be with strangers, but with those they have let in. It may tilt more toward inviting people to church to hear the preaching of the gospel, or to sharing appropriate sermons (one benefit of technology), or a book on the particular struggle of a friend. Their efforts at spreading the good news should be applauded too. They may be likely to adorn that gospel with love, as it ought to be. One of our members recently told me that our smaller church tangibly loved her through crises in a way she never experienced before in other churches. Such love is the gospel in action, as faith expresses itself in love (Galatians 5:6). Contemporary evangelical culture focuses on the immediate and the relevant. We see the rise of megachurches in which people worship nearly anonymously. These churches do have lots of programs to keep people busy. I’m not sure which came first, the consumerist congregant or the consumerist congregation. There is a move to create “comfortable” environments with coffee houses, a lack of mystery and a removal of the sacred. The pace is fast, and the service is a production. There is little space for reflection that introverts prefer. The pastor is often an big personality who can draw big crowds, show up at all kinds of social events and shake hands. I was called by a church that was generally introverted. My thoughts on ministry appealed to them. The simple church model resonated with me. But not because I wanted them all at home reading theology. I wanted people to have space to serve their communities through parachurch ministries, build relationships and share the gospel. I probably need to make that explicit more often, particularly with visitors and extroverts considering membership. I don’t expect our church to meet all of the members relational needs. I want them to serve one another. I also want those with extra energy for people to serve the community in various ways. That’s me. I don’t hide, but I’m wiped out. I like studying, and am told I deliver deep, meaningful sermons. I’m sure some would disagree. But I am more reflective, not dumping my sermon & text because of a current event that “must be addressed”. I may reference it, but want to let the Word address those things in the ordinary course of ministry. The introverted church gets a bad rap. McHugh provides a few quotes to make his point. The introverted church is confused with the isolated church, the disobedient church. This is because some confuse methods with values. This view devalues the faith of the introverted. It devalues the practice of the introverted. The Church, and particularly congregations, need both introverted and extroverted people. A church should grow in depth as well as numbers. This will require thoughtful people and out-going people valuing one another for the common goal: maturity in Christ. That maturity should not be defined as either introverted or extroverted. But in the Body of Christ both are needed so the church grows up into Christ. A church can be busy. But it should also accommodate those with a slower, thoughtful pace of life too. Often these are its teachers. Not exclusively, obviously. But a deep, meaningful community requires deep and thoughtful people (this often takes time alone) as well as those who build community through friendship and service. We shouldn’t expect extroverts to become introverts, not introverts to become extroverts in order to really love God. We each love God, according to His Word, in a way that fits how the creative Creator has made us. God loves introverts. God loves extroverts. God uses both! Another vacation means reading another volume in the “Theologians on the Christian Life” series of books. So far I’ve read the volumes on Newton, Luther, Bavink and Edwards. I enjoy these books tremendously as they interact not just with their theology but also their practice. This summer I chose Calvin on the Christian Life: Glorifying and Enjoying God Forever written by Michael Horton. I had some hesitancy about this volume. I haven’t read any Horton in years having grown weary of polemical theology, and not finding his expressions of two-kingdom theology all that helpful. I always seemed to be left saying “And?” when he talked about it. This book was a pleasant surprise. It was a little more weighted toward theology than some of the others, but that theology was a necessary background to understanding how Calvin viewed life in Christ. There was a good progression of thought throughout the book. There were no exceedingly long chapters. There were plenty of quotes from Calvin and others who have produced volumes on his life and thought to make Horton’s points. I found it to be an edifying and encouraging volume in this series. As he notes, Calvin’s was a very different time. The Reformation had been spreading throughout Europe and nation-states were gaining some measure of independence from the Roman Catholic Church and the Holy Roman Emperor. Like today there were many political and religious refugees in Europe, and many of them made their way to Geneva. In the religious reforms they were still in the process of sorting out how to implement what they believed. Calvin was one of the people working to bring the Protestants together as some differences seemed to be driving them apart. Church was a central part of life with daily services part of many people’s routine or rhythm of life. It was a less distracted time, even if sin still found its way to manifest itself abundantly. As a result of this, some of how Calvin viewed the Christian life is anachronistic, or at least seems to be to us with personal devices, long commutes, mass media and more. Christian living, while personal, was far more public than we see today. As one of the great figures in the Reformation we tend to think he was a parochial as we can be. There was no “Reformed tradition” or heritage for Calvin to draw upon. He drew upon the larger tradition of the Church, eastern and western. He was influenced, not only by Augustine, but also by Chrysostom, Cyprian, Irenaeus, and Bernard of Clairvoux among others. He interacted with Luther and Melanchthon to find common ground. He was not impressed with Zwingli. He spent time during his exile with Bucer and found that a great benefit. He influenced many of the next generation of leaders, like John Knox. Calvin was not an innovator but a man who lived as part of a theological community that exceeded his geography and time. Horton begins where the Institutes begins: the knowledge of God and self. We were made to be in relationship with God and to reflect or reveal His glory as His image. So, to know God is to know ourselves in greater measure even if we see what we are not. Calvin was no fan of speculative theology. We cannot know God in the abstract, but know Him in Christ who came in the flesh to exegete the Father. We know God through His works, and so we recognize the divine drama or great Story of Creation, Fall, Redemption and Glorification. All of Scripture reveals this larger Story. We see some differences between how the Reformers and Roman Catholicism viewed general revelation and common grace. He saw our depravity going deeper so that no one was neutral when examining our world and/or doing theology. The pursuit of truth is distorted by our depravity. General revelation is not simply a “dimmer light but a different light than special revelation” because it does not speak of redemption. Like Luther, Calvin was a theologian of the cross rather than a theologian of glory. God is known through Christ, and Him crucified. We do not seek to climb “ladders of speculation, merit and mystical experience” to gain union with God. Rather we are united to Christ crucified and resurrected for us to gain knowledge of God. In this great drama there are actors and a plot. Here Horton explains that for Calvin the solas of the Reformation were a fabic, not independent statements. Similar to TULIP which was formulated long after Calvin’s death, they stand or fall together. Scripture is our final authority because it is God speaking to us about the Son through the inspiration and illumination of the Spirit. The great actor is the Triune God, not merely dogma but “the heart of reality in which we live and move and have our being.” The Incarnation of the Son reminds us that matter is good, not evil. That there is nothing inherently sinful about humanity itself despite its weakness and limitations. Our sinfulness is tied to being “in Adam” not simply being human. So Calvin did not hold to a Spirit-matter dualism as did medieval Rome and early Anabaptists. Rather, God made matter and uses it to His good purposes. One application of this is that the Spirit works thru the Word, contrary to the views of the Anabaptists and other fanatics. The other actors in this are people, and so Horton moves quickly through Calvin’s anthropology. He is always contrasting this with the views of Rome expressed through the medieval church. This brings us to providence and grace as God works to redeem fallen humanity. Horton contrasts providence with the Stoic notion of fatalism. We see a God at work to redeem us, not a people who seek to redeem themselves. We see people who are lifted up by a Redeemer, not who lift themselves up by their bootstraps. We see people who are sought (and found) by God though they hide in the bushes, not people who seek after a God who hides. When we grasp both providence and grace, our circumstances are not punishment from a Judge but instruction from a Father who seeks to mold and shape us. From here, Horton proceeds to Christ the Mediator who came to us and for us. He uses a phrase that will be used often within the book, here with reference to His two natures: “distinction without separation”. This is a difficult formula to maintain but it was the heart of the Chalcedonian formula which made its way through Calvin’s theology. This formula, and how it is understood, was a key in the disagreements about the Lord’s Table that separated the Protestants. Horton’s comments on this are quite helpful. As the Mediator, Jesus does not merely provide assistance to us but saves us to the uttermost. Yet, we live in the gap between inauguration and consummation, the already and not yet tension is at the heart of Calvin’s spirituality. Our salvation is received in union with Christ. We don’t receive His benefits so much as Christ Himself. He brings all those benefits with Him. They are distinct but without separation because we don’t have a divided Christ. Horton distinguishes these benefits in another chapter. They include effectual calling, justification, sanctification, and adoption. He always distinguishes the Protestant view from the Roman view, particularly as expressed in the Council of Trent. With this heavier theology out of the way, Horton moves into life in the Body of Christ. Our Christian living is not a private thing, but one that is lived in the context of the Christian community. This is important for our individualistic society to hear so we can be freed from the shackles of a privatized faith. For Calvin it was corporate worship (Word, sacrament & prayer) that fed our personal worship (Word & prayer), and not the other way around. Corporate worship is where we learn how to read the Word and pray. We apply that in our personal and family worship. Community has precedence over individual. This is a radical statement today. Yet at we look at love and the fruit of the Spirit we see they all require others. The Trinity is an eternal community or fellowship of love. We have been made in God’s image to be a community or fellowship of love, not simply a periodic gathering of saved individuals. This plays out in seeking grace in public worship, not medieval spirituality. We do not ascend to God, but Christ descended to us. We do not seek seclusion like the monks and nuns, but live in Christ in the midst of the world. Horton speaks of Calvin’s views of the preached Word, baptism, confession of sin (a good thing in worship!) and the Lord’s Table. Horton continues with worship, discussing visual representations and music. These are some of Calvin’s more controversial views regarding worship today. While I want to keep the images of Christ out of our worship, I don’t want to keep the instruments out. I don’t see how they are part of the shadows and ceremonies. I see instruments in the heavenly visions of Revelation. If they are symbolic, what do they symbolize (it notes the singing, so….)? Music seems circumstantial to me. We don’t have any “authorized” tunes. So we waste our time, energy and breath arguing over such things. I’m sure God is more concerned with whether I strummed my guitar for him or myself, or if you listened to the instruments for his glory or simply your pleasure, than whether or not the corporate worship used instruments or not. But I digress. Horton then brings us to Calvin’s view of prayer as the chief exercise of faith. Horton notes “true worship consists not in outward rights but in casting ourselves on the Father’s gracious care in Christ and by his Spirit.” He interacts with God’s providence and prayer so that prayer is one of the instrumental means of God’s providence. For Calvin prayer was “to the Father, in the Son and by the Spirit.” Our union with Christ also means that we do not pray alone but that Christ is praying not just for us, but with us. Our prayers are an echo of His prayers for us, we are following His lead because of the work of the Spirit in us resulting from our union. You can’t talk exhaustively about Christian living without touching upon the Law of God. Horton brings in Calvin’s views in the tenth chapter. Like Luther, Calvin utilized a law and gospel distinction. “Calvin also appropriated Melanchton’s threefold use of the law.” The Law drives us to Jesus as He is presented to us in the Gospel. As justified people, the law shows us the pattern of holiness the Son wants to create in us by the Spirit. Law and gospel are distinct but not separate. Christians hear the law as the words of a Father, not a Judge; wisdom and guidance, not condemnation; and cry out to the same Father to help them walk in this way that pleases Him. Horton then summarizes Calvin’s view of these “house rules” expressed in the Ten Commandments. Horton then addresses this new society, the church, as a theater of God’s fatherly care. Christian living includes finding a faithful church and making disciples. In church we are fed and guided by pastors and elders. We receive God’s hospitality from the deacons. Horton explains Calvin’s view of elements and circumstances regarding worship and how legalism turns circumstances into binding elements. License turns elements into circumstances. “Thus, the Reformer could see even among elements a ranking order, prizing unity over polity. Here we see a man of principle, to be sure, but among the principles was love. While wanting to obey everything that Christ commanded, he realized that not everything was equally clear or equally important.” And so my comments on music. This new society exists, just as our original parents did, for a mission. For the creation mandate to be fulfilled, the Great Commission must be fulfilled. The church exists to make Christ as He is presented to us in the Gospel known, and to teach people to obey Him. The circumstances of the day meant that the Roman Catholic nations controlled the seas. But Geneva sent missionaries throughout Europe, many of whom died in France. The church brings Christ to the world. We offer our gifts and abilities to the world, and the church, in terms of our vocation. The sacred-secular distinction has minimized the value of a layperson’s work in the world. Work that helps others survive or flourish is valuable work, not merely legitimate work. Jobs have value not simply as opportunities for evangelism, but for loving others by providing goods that enrich life. This is a big part of Christian living. Lastly Horton ends with contemplation of glorification. We are not escaping the material world, but longing for freedom from sin; ours and others against us. We live in the not yet with regard to sin. This is intended to shape our lives in the already. Horton lays before us a very thorough look at Calvin’s understanding of the Christian life. We exist for God, and to enjoy God. This means we live before the face of God at home, at work and at church. We live before the face of God and experience His grace because of Christ our Mediator in whom we experience all God’s blessings. Christian living is not about trying to attain God’s grace, but receiving it so we can glorify & enjoy Him. This was a great addition to the series. Considering Who Is the Holy Spirit? When I went to the Ligonier Ministries panel discussion at General Assembly in 2013, they offered a free resource in addition to the dinner and discussion. It took me as long to choose as for a MLB hitter to decide whether or not to swing. 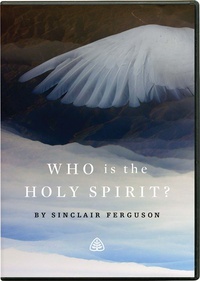 There was Sinclair Ferguson’s DVD Who Is the Holy Spirit?. Decision done. It is rare that I can make such a decision so quickly but all bets are off when Sinclair Ferguson is involved. Unlike the Strange Fire and other conferences, this series is not focused on the gifts of the Spirit. Similar to his book in the Contours of Theology series, The Holy Spirit, this is a 12-lesson series that is essentially a biblical theology of the Spirit. He spends much of his time in the upper room discourse and Romans 8, but from there he goes in many directions to “ransack” the Scriptures to understand who the Spirit is and why He matters to the Christian. This is an edifying series. Oh, it won’t answer all your questions, particularly the controversial ones. And that is alright because those are not the most important questions. These are not highly academic, but these lessons are not superficial either. At times I was moved to worship. I was also encouraged. I would recommend this series for those who want to know more about this neglected member of the Trinity. Perhaps this will whet your appetite to read his more thorough treatment in the book. In Sinclair’s typically pastoral style he starts with the Spirit’s role in creation and revelation. He covers such topics and the differences in the Spirit’s ministry under the old covenant and the new. We see the Spirit’ role in the Incarnation and earthly ministry of Son, and then in our own ministry.